Ambient temperatures can be set between -40 and +60 C, and a shaker rig stresses components at those temperatures. At the University of Ontario Institute of Technology Automotive Centre of Excellence (UOIT ACE), the continued evolution of its aerodynamics research-and-development facilities is bolstering Canada’s reputation as a world leader in the field. Since its official opening in 2011, researchers from all levels of the automotive industry – as well as other industries such as aerospace, cycling, and more – have benefited from ACE’s unique capabilities. 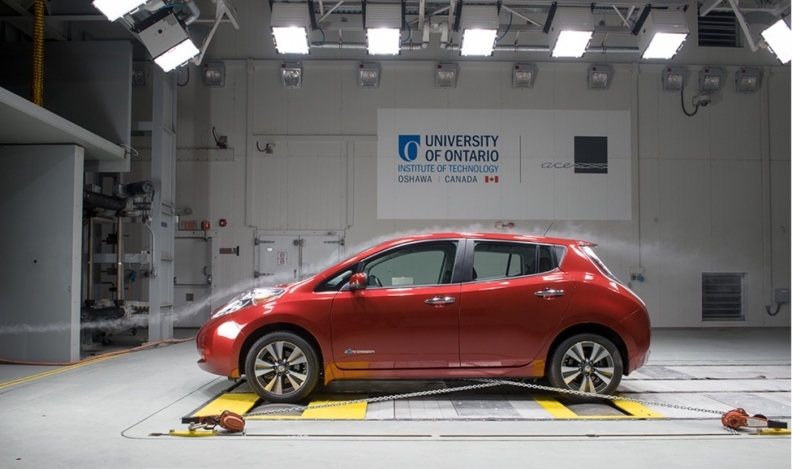 The most extreme climate conditions can be replicated at the University of Ontario Institute of Technology Automotive Centre of Excellence. 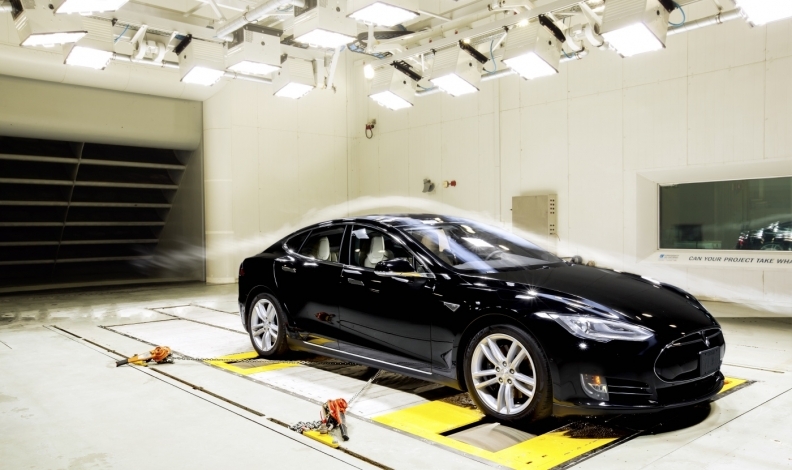 The facility has one large climatic wind tunnel, one of the most sophisticated anywhere in the world, capable of measuring all of these properties at once and accommodating vehicles as small as a bicycle or as big as a transport truck. The wind tunnel also has a storm generator that can simulate heavy rain, snow, humidity or dry heat. There are several additional climatic chambers at the facility that perform the same functions but without the wind, one of which also houses a four-post shaker rig. “That basically shakes and rattles vehicles in those environmental conditions to make sure that nothing breaks and it doesn’t create any squeaks and rattles that a customer would not like to hear,” Gammage said. These capabilities have attracted clients from all levels of the automotive industry. The upcoming addition of a moving ground plane (see sidebar, left) to ACE’s equipment offerings will secure the position of UOIT, and by extension Canada, as a world leader in aerodynamic development. An underappreciated side benefit, however, is the unique training opportunity the facility provides to Canadian students entering the field. “There are hundreds of students that go through our workshops or some of the other activities that we conduct every year within the wind tunnel,” Gammage said. “Obviously, a lot of them are from the University of Ontario Institute of Technology, but there are other institutions that are coming to experience this as well.